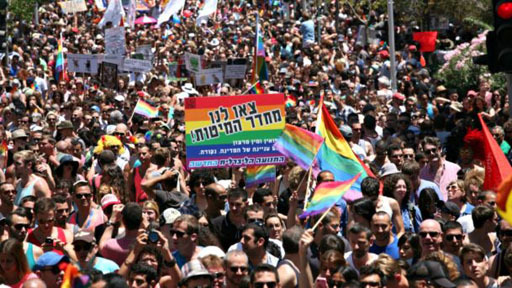 Tel Aviv Gay Pride, the largest Pride event in the Middle East, attracted hundreds of thousands of attendees to it's annual parade on Friday. The parade, which took off from Tel Aviv’s Gan Meir at noon and included music, festivities, speeches and shows, is the largest Pride Parade in the Middle East. This year’s event spotlighted “Women for a Change,” an organization that highlights the role of women in the LGBT community. Additionally, the parade included events like a fashion tour, a Eurovision event and the hallmark of the festivities, the LGBT Film Festival.